This post is a bit late, but I didn’t want to short change my trip to the Middle East. 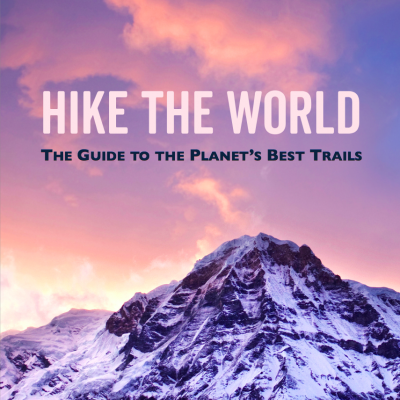 I’ll return to my regularly scheduled posts about the Himalayan treks with the next one. 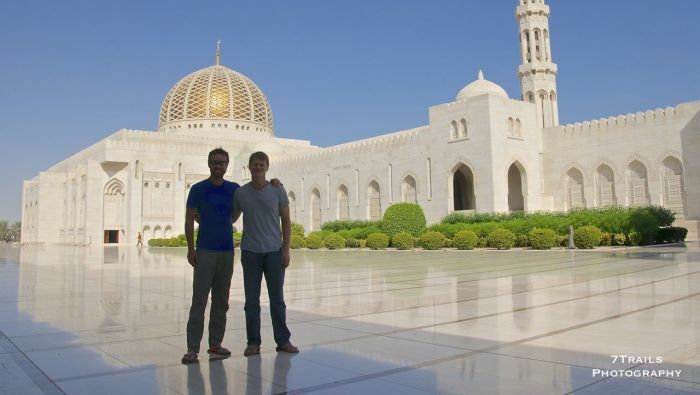 During my visit to Qatar a couple months ago, Craig and I took advantage of the Eid holiday to sneak in a quick trip to Oman. Since Kristen (Craig’s wife) was slammed by a big work deadline and the impending birth of their second son Miles Francis (Congrats! Again! 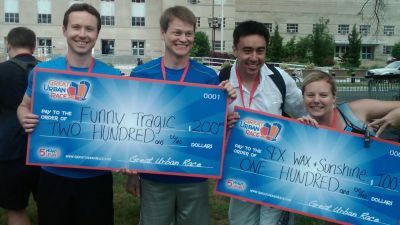 ), it turned into a guys-only reunion tour with my Team Funny Tragic racing partner. The winners’ podium of the 2012 Washington DC Great Urban Race during less beardy times. Craig should have known that face wasn’t a good idea. We picked up our rental car in Muscat and immediately raced south along the coast toward Masirah, a large desert island 20km offshore. We camped for the night on the beach an hour from the port city of Shana’a. We rose early and arrived in Shana’a, where we caught the car ferry to the island’s port at Hilf. 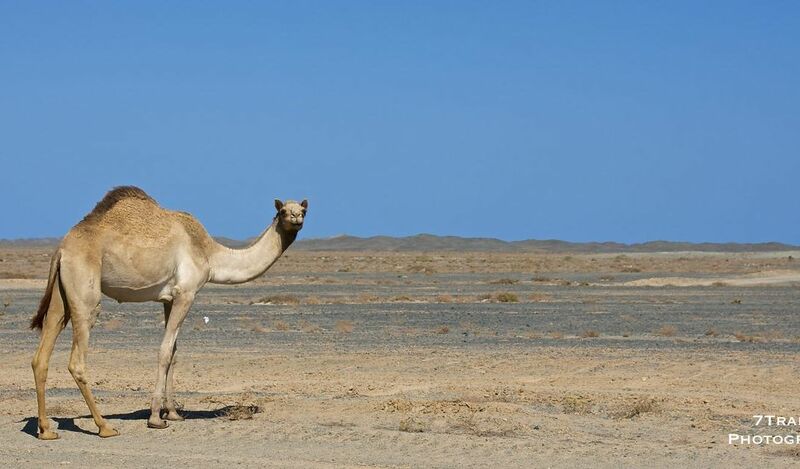 Masirah is home to miles of white-sand beaches, desert oases, 12,000 people, large populations of sea turtles and flamingos, and a flotilla of wrecked ships that failed to navigate the island’s rocky shores and treacherous tides. One of the shipwrecks has passed into local legend as an explanation for the dearth of permanent settlement on Masirah. In 1904, the British ship Baron Inverdale wrecked just off the coast. The crew struggled ashore only to be summarily killed, and possibly eaten, by the island’s tribesmen. The Omani Sultan condemned the slaughter and ordered the destruction of all permanent housing on the island. Beyond the colorful tales of shipwreck and cannibalism, Masirah and its beaches are critical habitat for many endangered sea turtles. Leatherback, hawksbill, olive ridley and greenback turtles all make their way to the island to breed. The leatherback colony that takes up residence on the island is the largest in the world. Evidence of the turtles was everywhere. We ran into at least 10 whole or partial skeletons on our tour around the island. 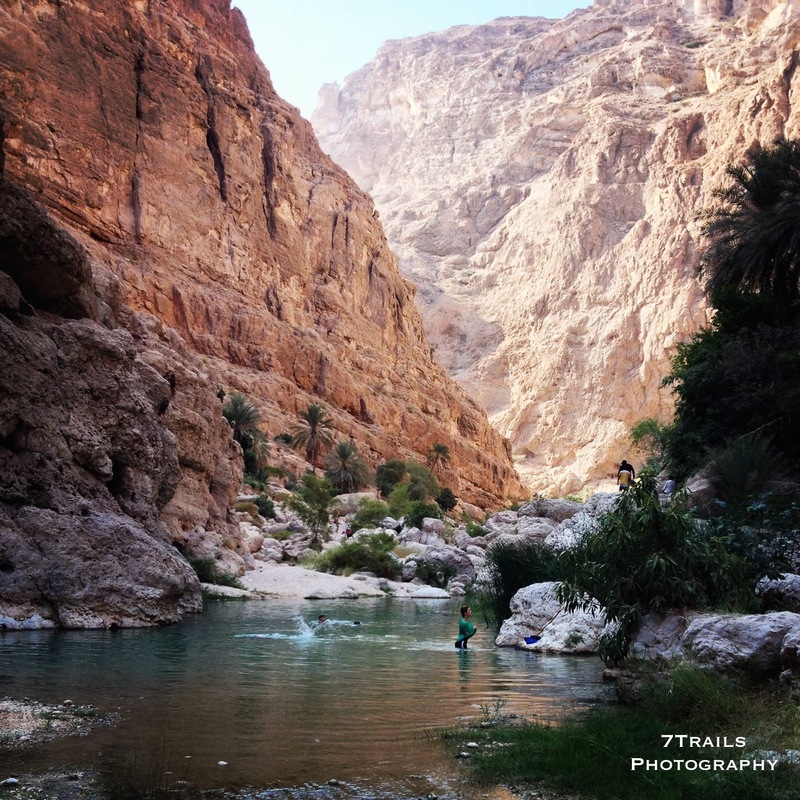 Next up was the Wadi Shab, which lies between Masirah and Oman along the coast. Located in the Al Sharqiyah region, the wadi is a massive and mostly dry river bed that some argue is the prettiest place is the country. Many Omanis seem to agree. 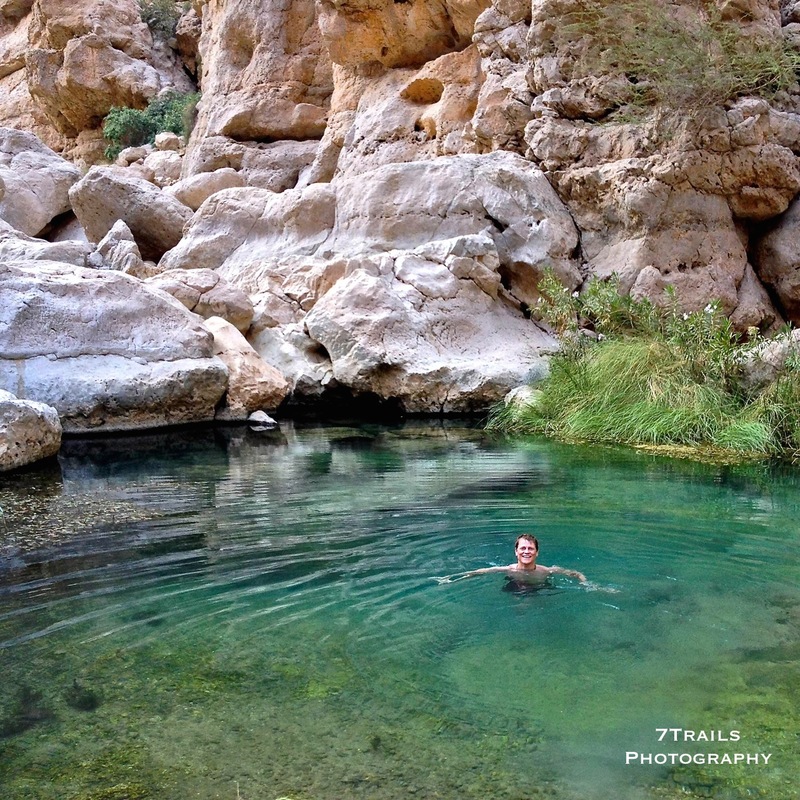 The lower reaches of the canyon teemed with local tourists coming to escape the desert heat as they explored the canyon and swim its shallow pools. Craig and I hopped in a small dinghy to cross over to the trail leading up the east (right) side of the wadi and then flew through the lower sections. We had the massive, red-walled canyon to ourselves 45 minutes later. We hiked, scrambled and climbed over rocky trails and massive boulders as we made our way toward the small spring located at the head of the canyon. We spent our last day in Oman roaming around the capital, Muscat. I was very impressed during our brief stay. The city had an array of stunning architecture, from the Al-Mirani and Al-Jalali forts that guard the port area to the Al-Alam Palace and an army of sparkling ministerial buildings. Unfortunately, we didn’t get to sample any of the city’s many museums since most were closed for Eid or had been moved to a nearly undiscoverable location. Seriously. We drove for over two hours to three different locations trying to find the Omani Museum. I’m not convinced it exists. The crown jewel of Muscat sightseeing was the stunning Sultan Qaboos Grand Mosque. 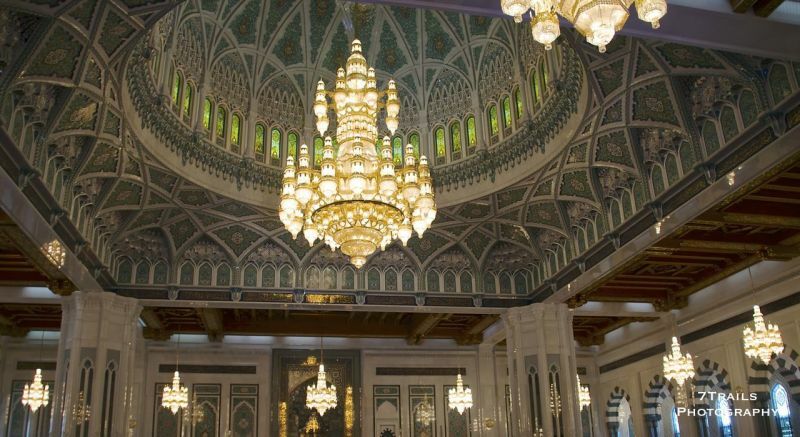 The mosque is one of the largest in the world and, until it was recently overtaken by the Shaikh Zayed Grand Mosque in Abu Dhabi, sported the largest hand-woven carpet in the world. The Omani carpet, at 70m x 60m, has been relegated to a still-respectable second place. 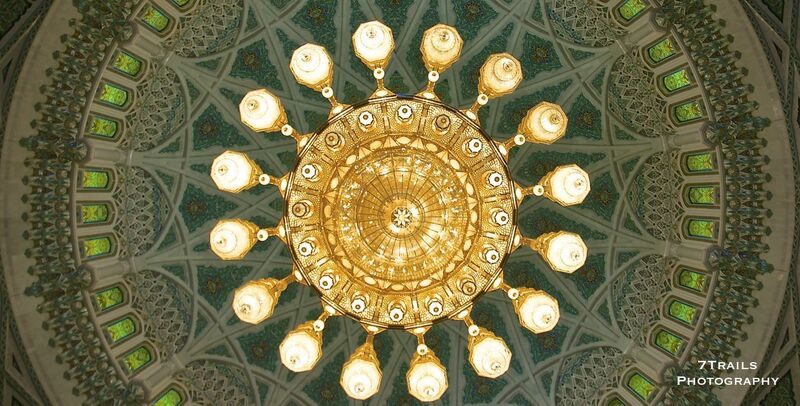 The mosque’s dome is dominated by a breathtaking chandelier that measures 14 meters tall. A ring of smaller chandeliers line the outside of the musalla (main prayer chamber). The interior surface of the mosque is lined with a beautiful green and white trim. These elements somehow combine to give the cavernous space a surprisingly calming feel. I’m not much for worshipping anything but, if I was, I wouldn’t mind doing it in a place like this. The last sight on our tour of Oman was all to appropriate for the current era. We grabbed lunch on the waterfront of the Corniche, the public walkway in Muscat’s port area. Docked directly across from us was the Al Said, the Sultan of Oman’s personal yacht that on first glance we incorrectly, but entirely reasonably, mistook for a cruise ship. A little Googling told us that it is currently the 4th largest personal super-yacht in the world (it was 2nd when it was built in 2007). It looked every bit that large. We tried to process the sheer size of the massive monument to excess as the locals around us caught their dinner along the wall of the corniche and eked out their livings hawking cheap souvenirs.